A Texas man thought he had bested a rattlesnake by decapitating it, but when he tried to pick up the slain serpent’s head, it bit him and released a potentially fatal dose of venom into his body. His wife Jennifer Sutcliffe told local news station KIIITV that doctors said he might not survive, but he is now in recovery, thanks to 26 vials of antivenom. Trauma surgeon Michael Halpert told the news outlet the man’s kidney function is weak, but he is stable. The man was reportedly doing yard work on Memorial Day when he saw the four-foot rattlesnake and used a shovel to behead it. When it bit him, his wife tried to drive him to the hospital, but he began having seizures in the car. She met an ambulance, and then an emergency helicopter rushed him to the hospital. As far as how long, she couldn’t say for sure. Boyer has heard of snakes moving 12 hours after being cut in two. And she’s even consulted on a case where someone was envenomated by a mummified snake head years after the reptile died. According to Boyer, cutting up a snake is one of the worst ways to handle the situation. “It’s cruel to the animal and it leaves you with a smaller piece that’s venomous to pick up,” she said. It’s better to just back away at least two steps, and call an expert to remove it. Or move it yourself. She would only advise killing it if it’s in a confined space and is an immediate threat. Early articles on the Texas incident suggested that the snake released more venom than it would have if it were still alive. 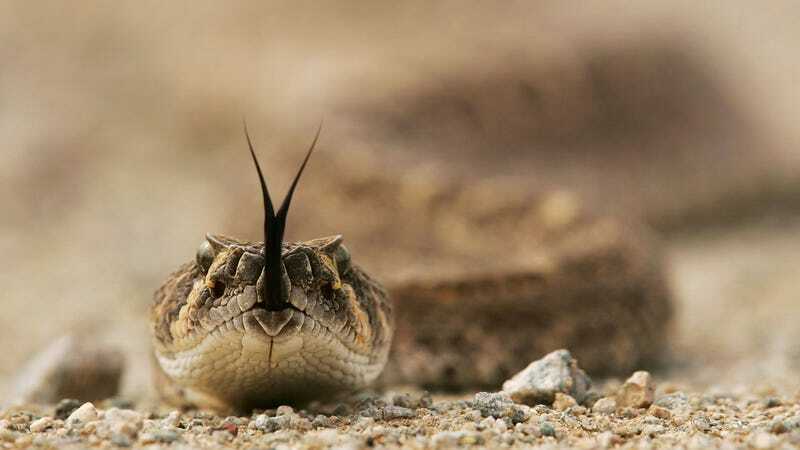 But Boyer said that doesn’t seem to be the case, since 26 vials of anti-venom is just slightly more than the average amount needed to save the victim of a rattlesnake bite. 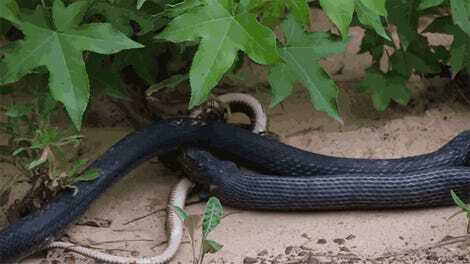 Boyer said there aren’t good statistics about snake bites in the U.S., but most experts say that there are a few thousand snake bites a year resulting in around a dozen deaths.